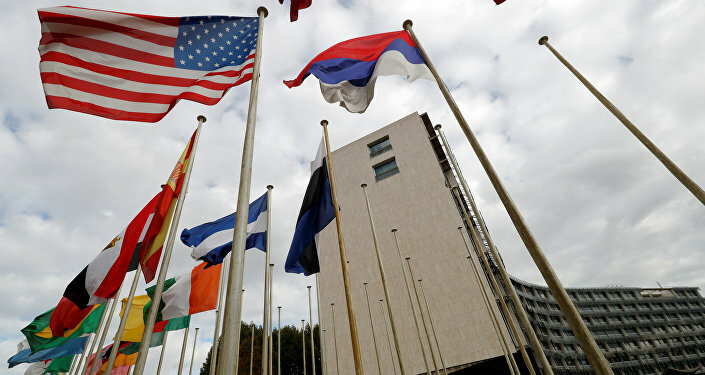 After several years of rocky relations, the United States as well as Israel have withdrawn from the United Nations Educational, Scientific and Cultural Organization (UNESCO), citing, among other factors, the organization’s alleged anti-Israel bias. "This decision was not taken lightly, and reflects US concerns with mounting arrears at UNESCO, the need for fundamental reform in the organization, and continuing anti-Israel bias at UNESCO," read the US State Department press release about the exit. To discuss the withdrawal, Brian Becker and Walter Smolarek on Sputnik Radio's Loud and Clear were joined by two guests: Jafar Ramani, a Palestinian freelance journalist, and Kim Ives, an editor for Haitian newspaper Haiti Liberte. Smolarek started by asking Ramani what impact the US exit would have on the Israeli-Palestinian conflict. "On the situation of Palestine?" Ramani asked. "Minimal. On the situation of UNESCO itself? Huge. It's about funding: America owes UNESCO over $600 million. They have not paid their dues since 2011, and if you starve any organization of funding, it becomes totally ineffective." The US stopped paying its dues because US laws passed in the 1990s prohibit Washington from financially supporting any UN organization with Palestine as a full member, which UNESCO became in 2011. "Unfortunately now with the Trump administration and [US Ambassador to the US] Nikki Haley, the new sheriff at the UN, Israel comes before the US, before the Palestinians, before anyone," said Ramani. "The Israelis and the Americans like to describe their relationship as a 'special relationship.' In this relationship, Israel is special and America is the relation." In addition to Palestine's entry into UNESCO in 2011, Ramani said, the US and Israel withdrew from the organization because in 2016 "UNESCO passed a resolution [the Occupied Palestine Resolution] saying that the Western Wall is not Israeli property and Israel has no connection to it." The resolution was put forth by Algeria, Egypt, Lebanon, Morocco, Oman, Qatar and Sudan. It was condemned by Israel, the US, the UN secretary-general and the Czech Republic. "Of course, this flies in the face of ultra-right secular movement in [Israel], which calls the Al-Aqsa Mosque the Temple Mount and where the alleged temple [of Solomon] was. This in spite of many Jewish scholars saying that the Temple Mount, if it ever existed, it was not in Al-Aqsa." This is in reference to the Temple Denial theory, which postulates that the First and Second Temples that were the center of the ancient state of Israel either never existed or were not located on the Temple Mount in present-day East Jerusalem. The theory, which is tied to Palestinian nationalist thought, has been condemned by Israel, the US and some Jewish groups as anti-semitic. Archaeologists dispute it as well, pointing to remains of the temples such as a the Trumpeting Place stone dated to the 6th century BC, which is inscribed with a warning for "foreigners" to stay out of the inner Temple. Ives expressed his view that the United States uses the UN, which has been "basically an arm of US foreign policy since its inception," to create a US-headed world government along with financial institutions such as the International Monetary Fund and the World Bank. "To me the principal institution of [the UN] is the Security Council… which basically has only five permanent members: the US, France, England, China and Russia. The US had to give ground to other powers, the nuclear powers." In addition to the five permanent members, the UN Security Council has 10 rotating members who have equal voting power on resolutions, but cannot veto resolutions; permanent members can. "I could say the secondary institution is really UNESCO which represents… the spirit of the UN," said Ives. "In this way, it's a real baggage problem for the US going forward even though they might have initiated it. [UNESCO has] turned into something else and been turned against them." "What we are dealing with, unfortunately, is a new administration in the US, in the person of Mr. Trump and all his so-called 'advisers' and representatives who are all ultra-right Zionist Israeli supporters," Ramani added. "What we are dealing with here now is America being totally occupied by the Zionist movement and the Jewish lobby in Palestine." "It's about time for the people of the US, who we have no ill feelings against, nor have we ever caused them any trouble, to say 'this is our country, this is against our interests, it's about time that we play fair.' We don't want anybody to be on our side. We want decent human beings, the god-fearing citizens of the US, to be on the right side of history, and not to listen to the propaganda that is perpetrated every day on Fox News and CNN." Ramani expounded upon his beliefs, claiming that the Zionist lobby in Washington "convinced [then-US president] Woodrow Wilson to come into the first World War because they were promised by Britain that 'if we win the war, and we cannot win the war without the support of the US, then we will give you Palestine as a Jewish homeland for the Jews.' A homeland is not a state, is not a country." 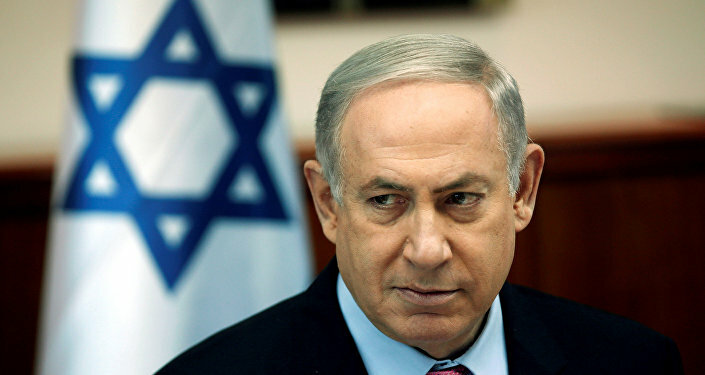 "America keeps following Israel around blindfolded," he said, and gives the state billions of dollars of tax money, the latest weapons and weapons technology, and political and diplomatic cover in the UN. "Israel is untouchable."